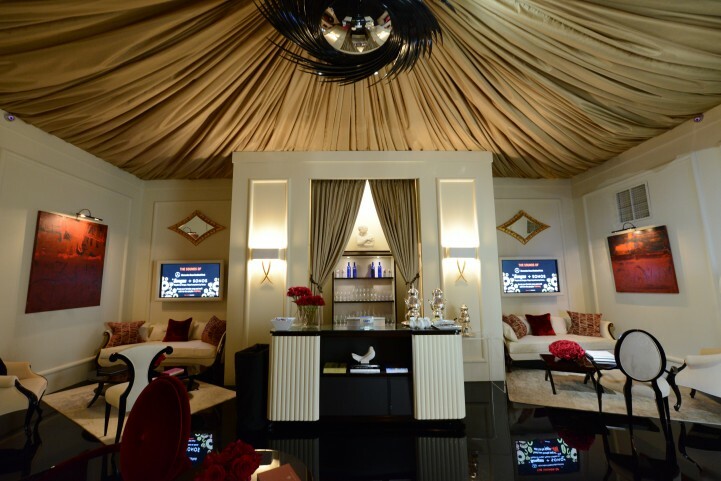 Wesley Cadle, Inc. » designs Mercedes-Benz Fashion Week Star Lounge - Sept 2012 - Wesley Cadle, Inc. 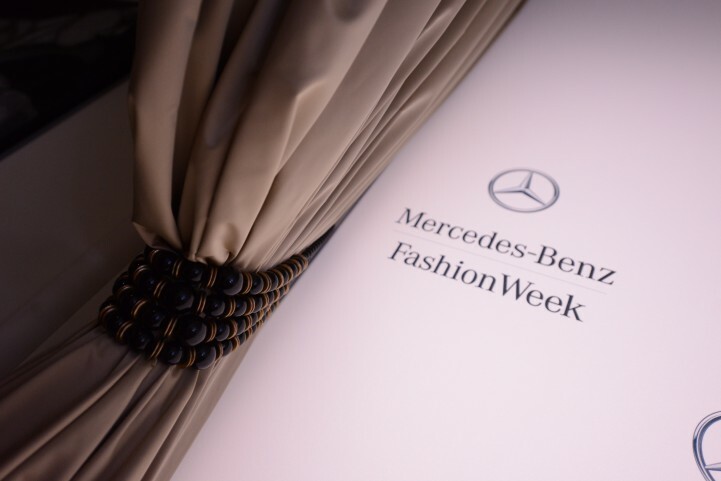 In September, guests of the Mercedes-Benz Fashion Week New York Star Lounge took one giant (and gorgeous) step back in time to an influential period in design history, that of Hollywood Regency. 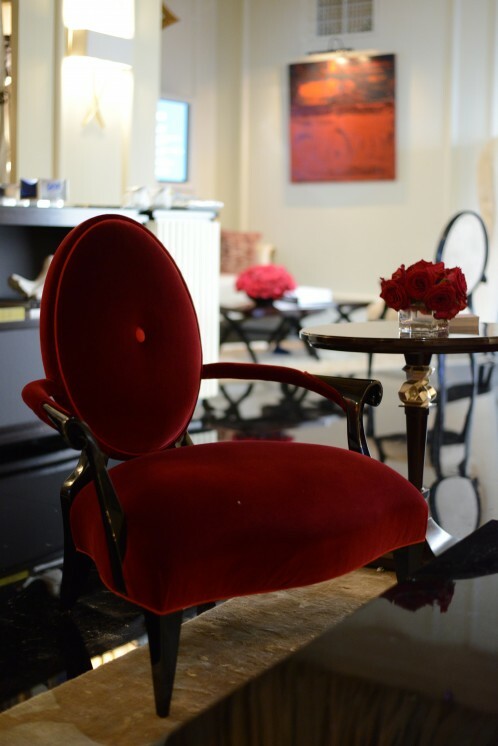 With a decidedly reverential nod to early 1940's film set designers and art, Wesley Cadle employed sleek surfaces, dramatic colors, luxurious fabric and influential works of art to create a space that was as lux as it was welcoming. 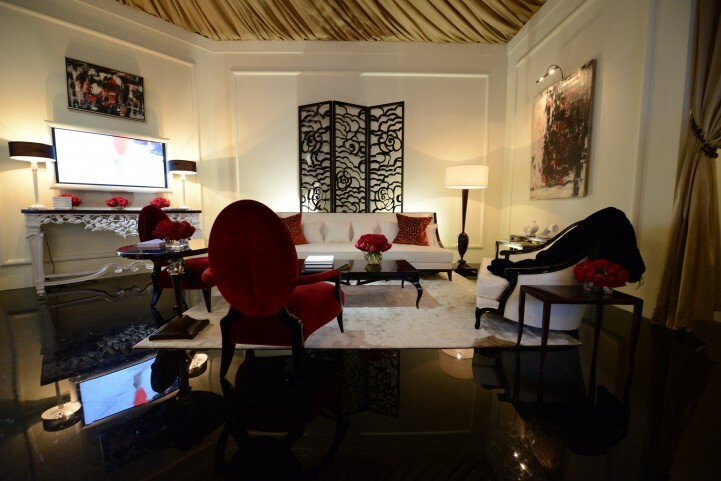 The high drama room radiated 20th century opulence (think Coco Chanel's bedroom) and turned on its edge with high gloss lacquers and high polish satins. 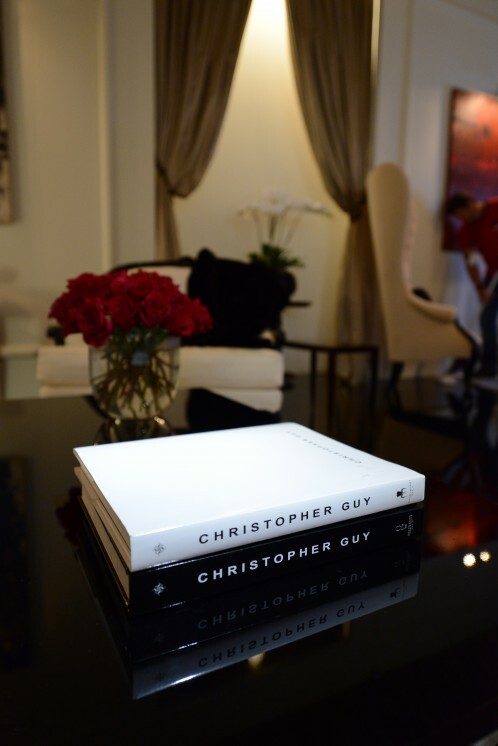 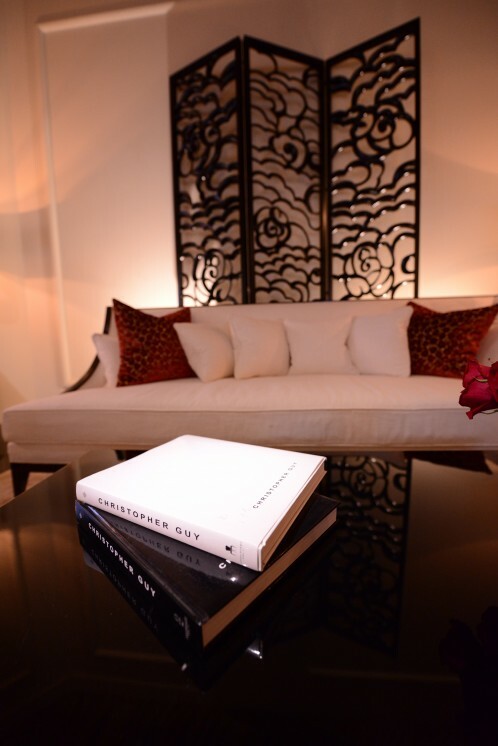 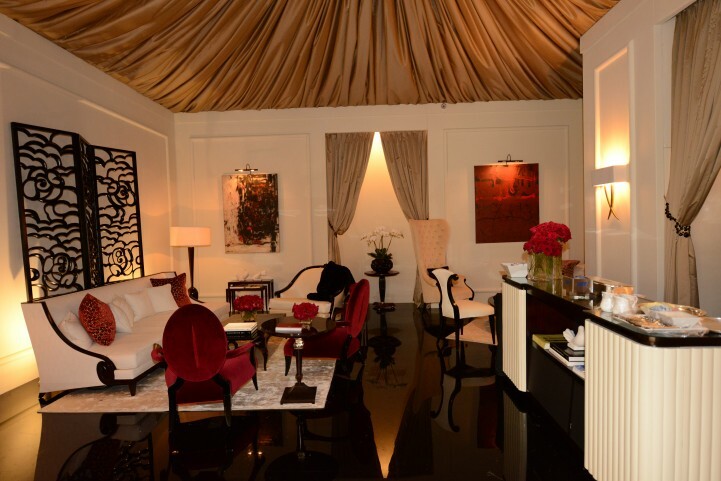 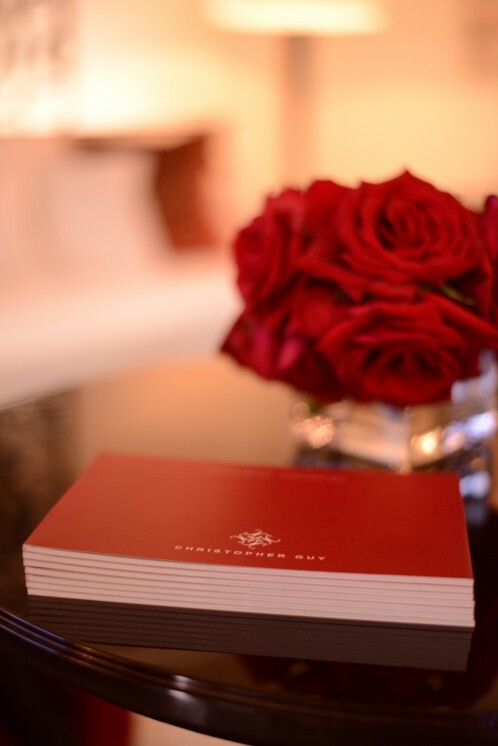 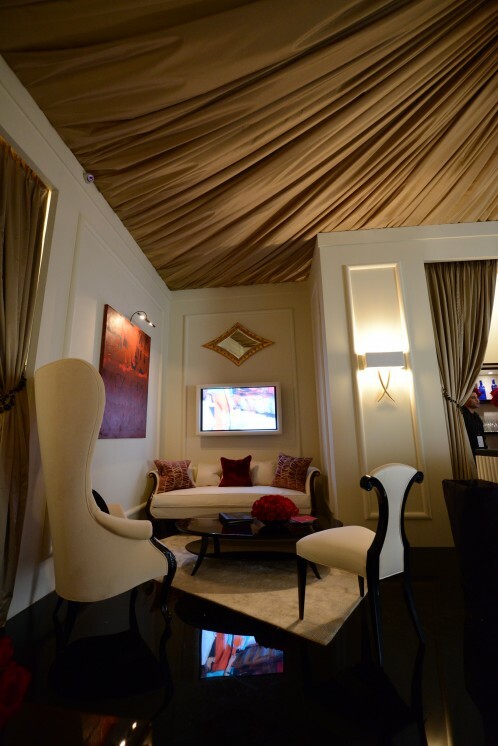 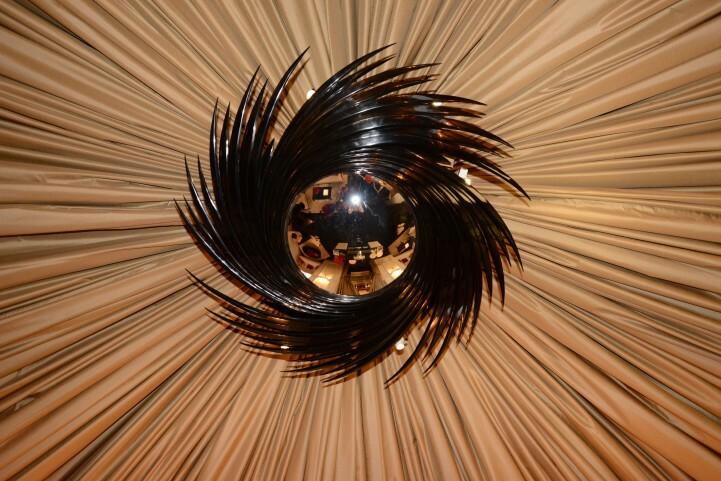 The lounge showcased brilliant and dramatic furniture by Christopher Guy. 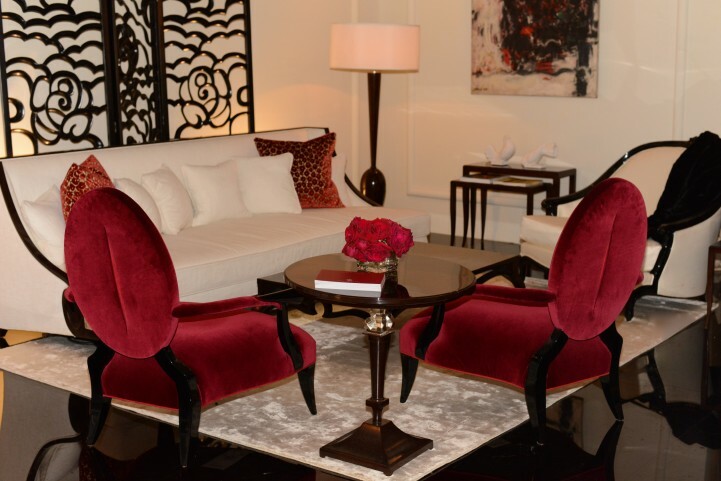 The over accentuated lines of his seating were accented with fur and velvet, neutral satins contrasted to deep tonal crimson and reds and old world metallic. 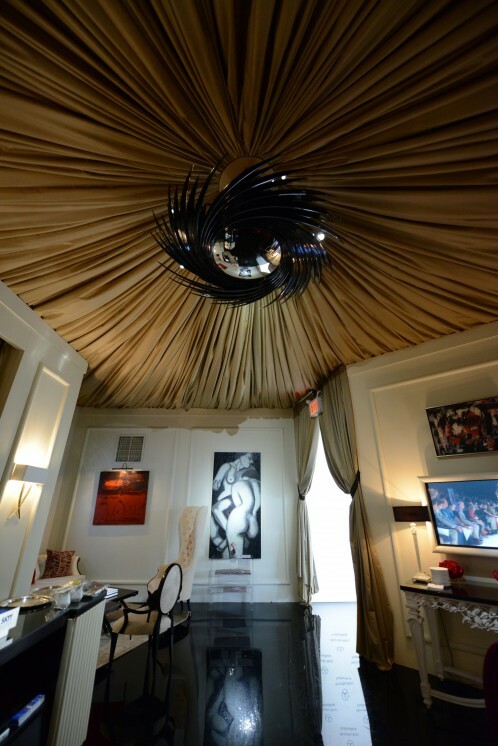 Thanks to a collaboration with Spanierman Modern, a New York gallery noted for its collection of mid twentieth century artists, works of art by Stephen Pace and Frank Wimberly were appointed to the walls. 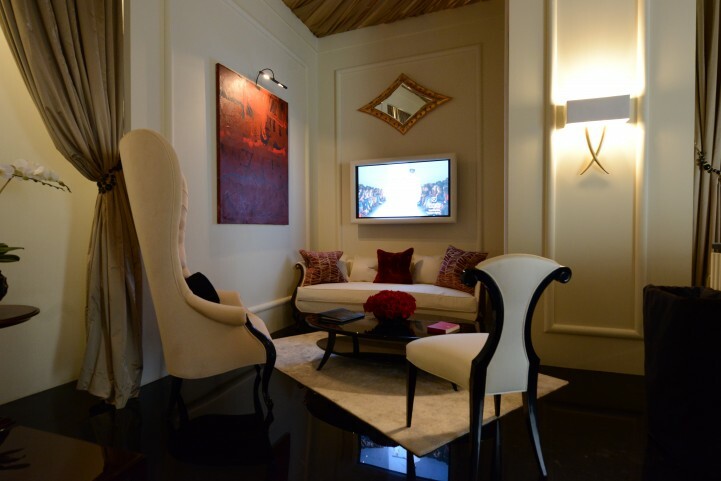 The works by both Wimberly, a Guild Hall Award-winner and Pace, an influential abstract impressionist added an updated dimension to the elegant curvature of the furniture.